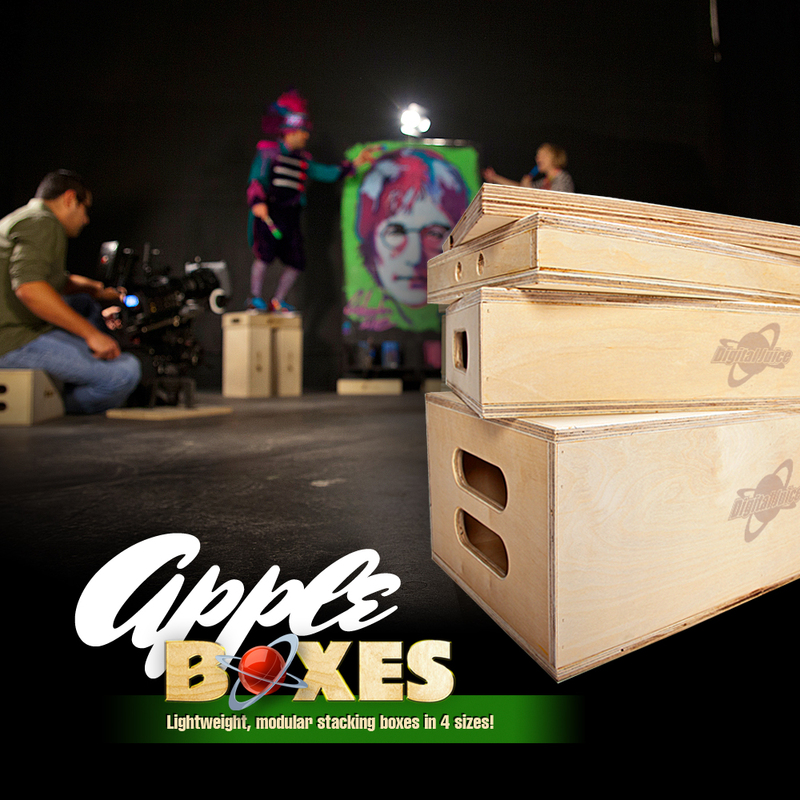 One of the most common pieces of equipment on a studio set, Apple Boxes are one of the most versatile and essential pieces of grip gear you will use. They are used for propping. 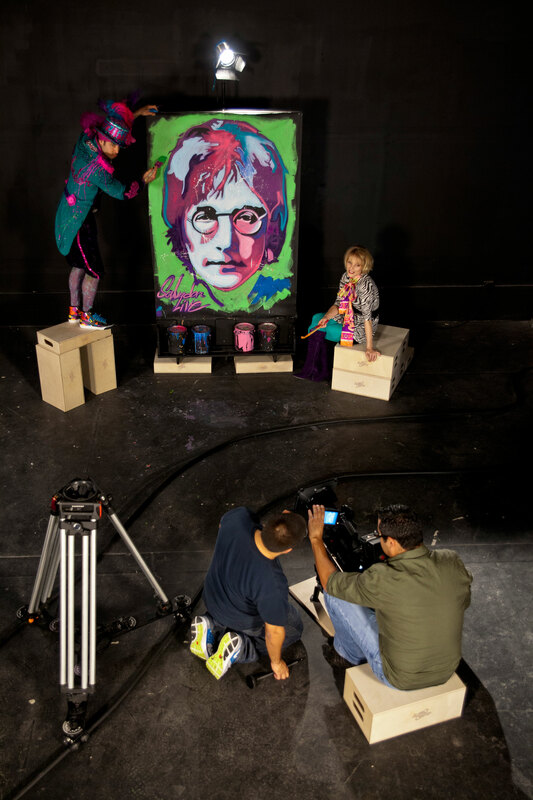 mounting or leveling lights, furniture and gear as well as for seating or raising the height of talent and crew. 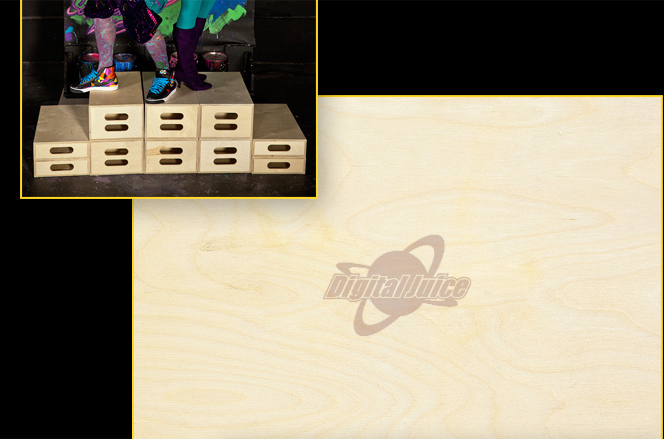 Finely crafted with high-quality materials and a strong center support brace for dimensional stability, the Digital Juice Gear Apple Boxes are a sturdy, modular set of boxes built to industry-standard specifications. 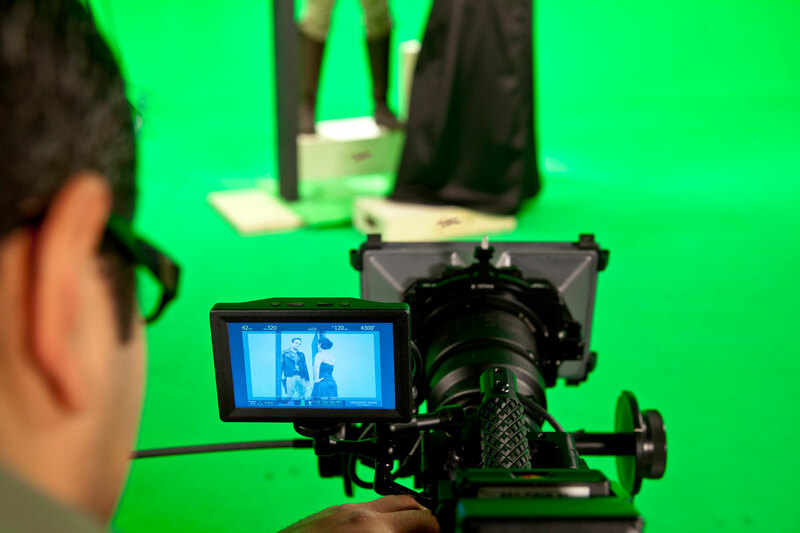 They can be stacked and combined to achieve any desired height and they are designed to be able to support a wide variety of gear and crew combinations, including a fully-loaded camera rig and operator. 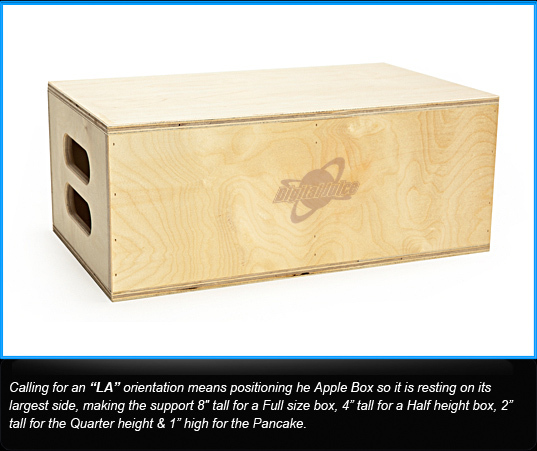 The DJ Gear Apple Boxes are available in 4 sizes (Full, Half, Quarter & 1/8th (or Pancake) height. 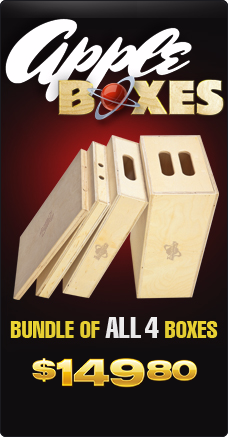 The three larger boxes are made from attractive furniture-grade 5-ply TigerLite birch plywood giving them the advantage of a lighter weight with the same resilience and support as similar boxes weighing almost twice as much. 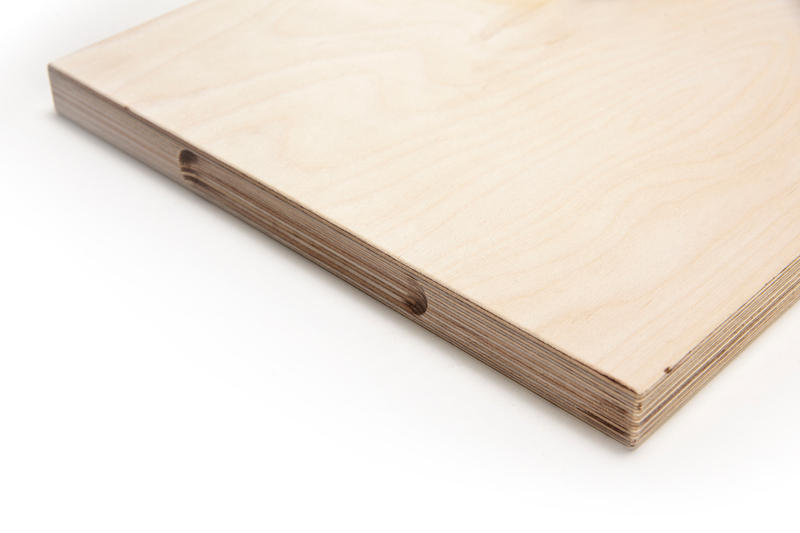 The Pancake size uses a thicker 1" Russian Birch for an equally attractive sturdy base. 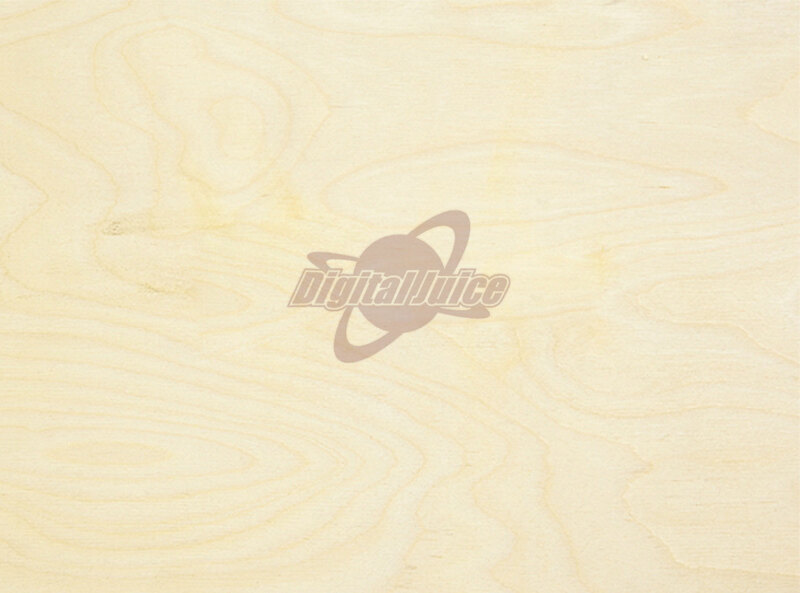 The smooth attractive grain of the box surfaces is left unfinished, with just the subtle DJ Gear logo brand as ornament, so that you can customize each box to any required purpose as needed. 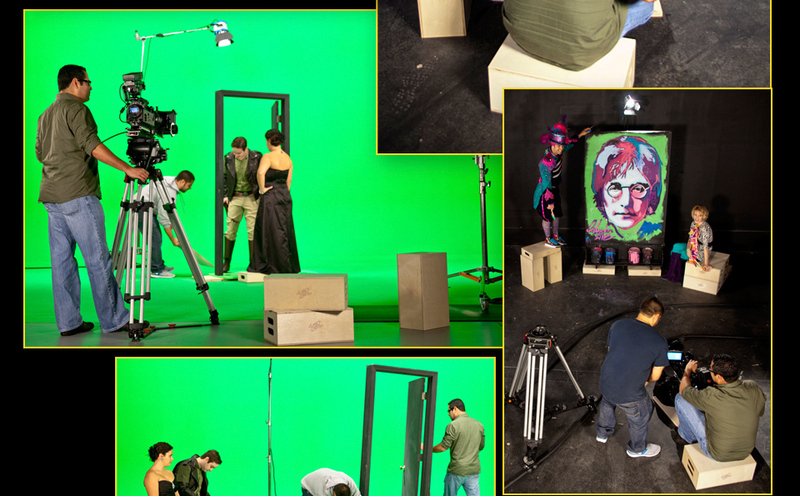 Whether you need the boxes to blend into a green screen environment or for support on an outdoor shoot, you can choose the best way to paint, seal or finish each box - or you can use them as is, for years to come. Support you can count on with looks that won't embarrass you on-set. You can mix and match multiple units of the four box sizes to create a series of uniform stacks for any kind of support platform you might require. 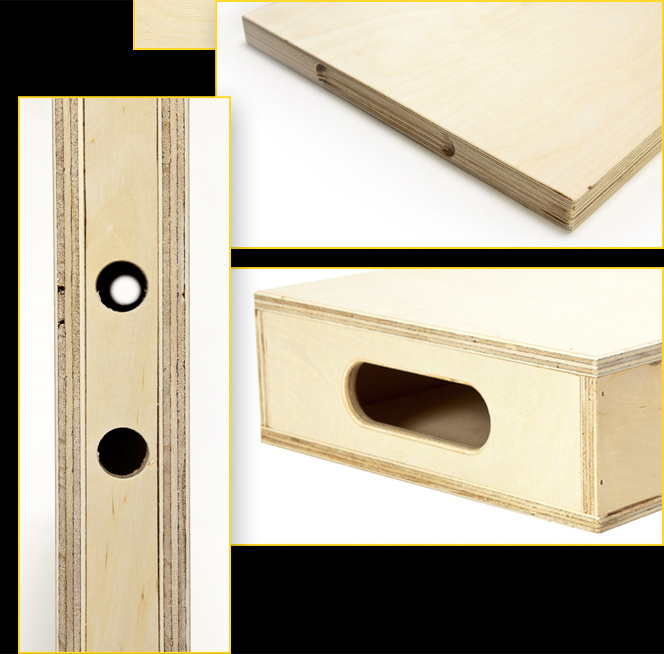 Because of the high-quality lightweight 5-plyTigerLite Birch plywood material used to construct the three larger DJ Gear Apple Boxes, a full set can easily be held in one hand! 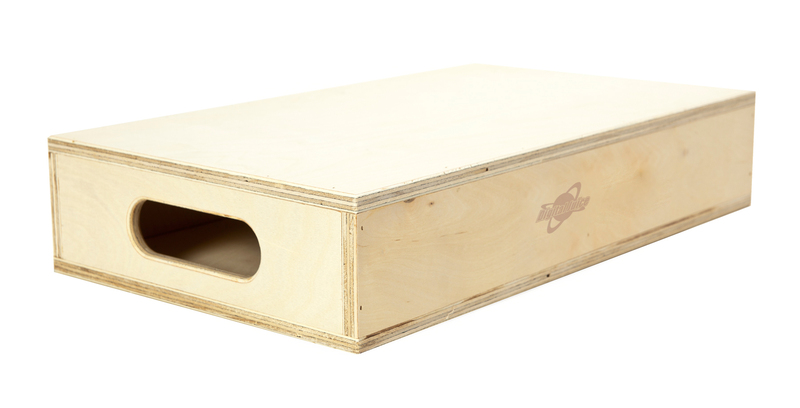 These boxes offer a lighter weight alternative for your gear kit -- with the same resilience and support as similar boxes weighing almost twice as much. 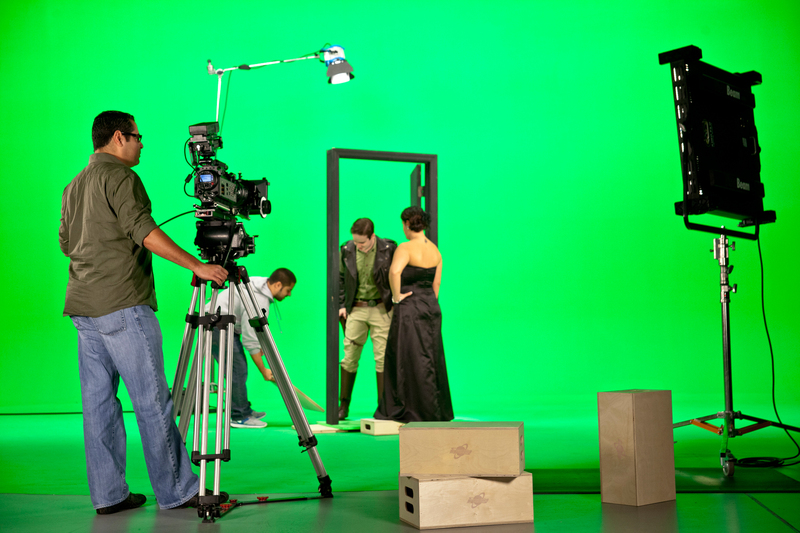 Ubiquitous on film and video sets, Apple Boxes can be placed in a variety of orientations to support different kinds of gear, talent and crew. 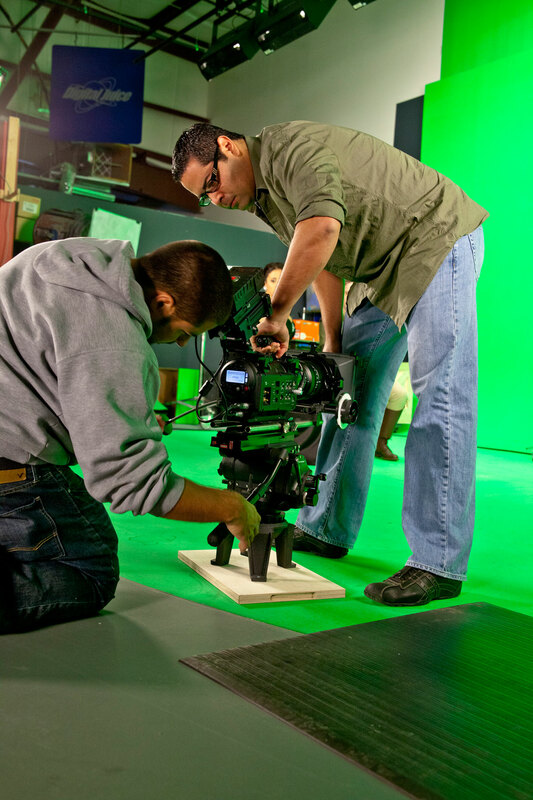 Grip and studio crews have developed a shorthand code to communicate quickly and easily to each other how the boxes should be positioned when placing and mounting grip gear on a set. Modular dimensions mean you can stack boxes in combination to reach uniform heights across stacks. 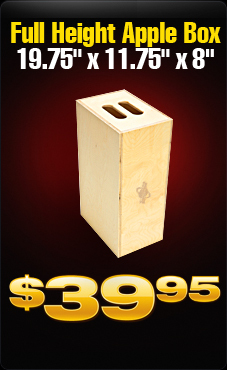 Both types of birch wood used for the DJ Gear Apple Boxes are high-quality, furniture-grade plywoods with a smooth natural finish, attractive grain and no blemishes. Each box is adorned with a subtle DJ Gear logo brand. For easy handling, each box has rounded-edge ergonomic hand and finger grips. The Pancake Box has a recessed routed finger grip groove at each end. 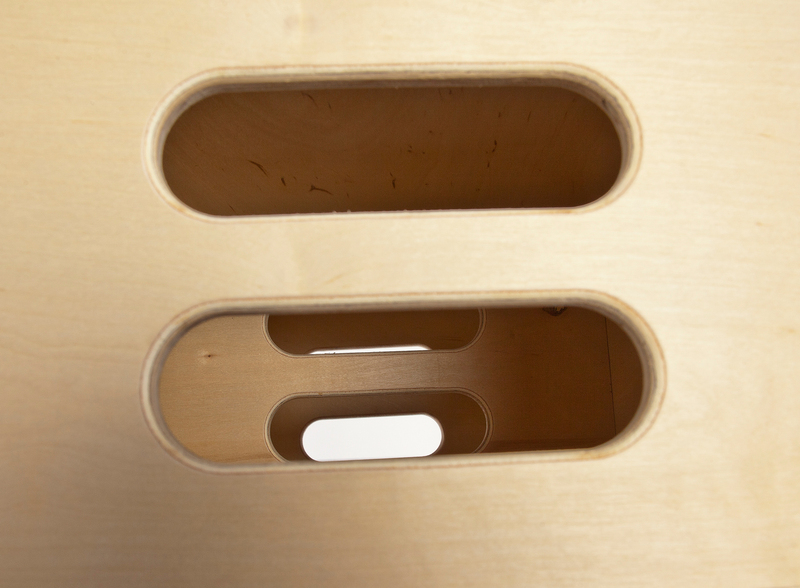 The Quarter Apple Box has two 3/4" diameter finger grip holes on each end. 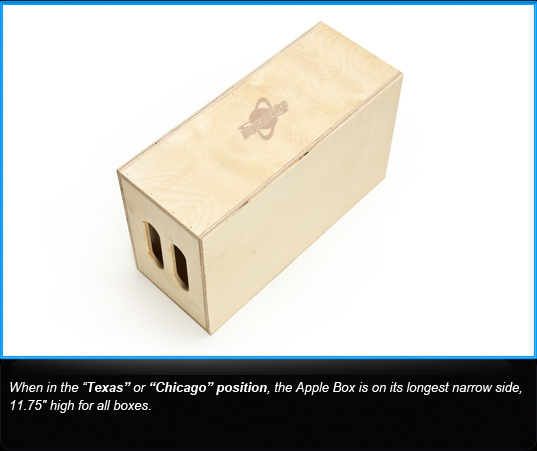 The Half Apple Box has one 5" x 2.5" rounded hand grip slot on each end. 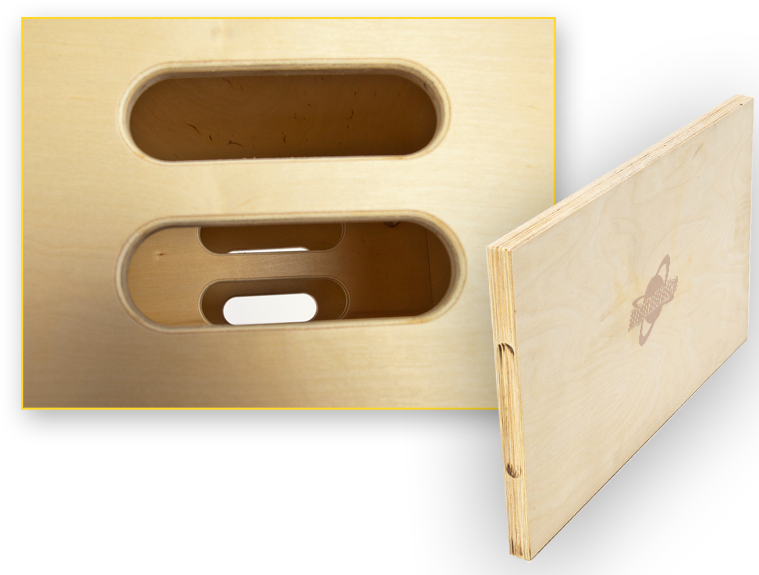 The Full Apple Box has two offset 5" x 2.5" rounded hand grip slots on each end so that boxes can be carried two at a time in each hand. 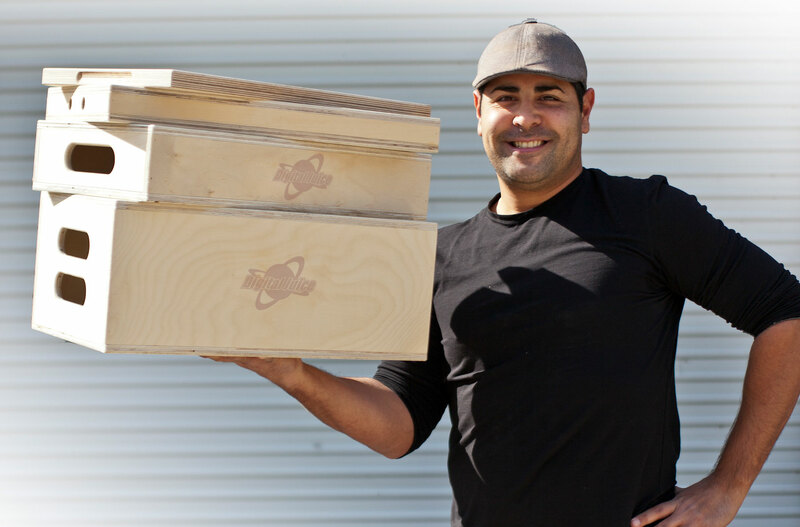 Each of the three larger sized boxes includes interior reinforcement from a central brace, ensuring extra strength and dimensional stability. This brace has the same handle or finger cutouts as both end panels, allowing you to thread wires, poles, or other gear through the boxes if needed. 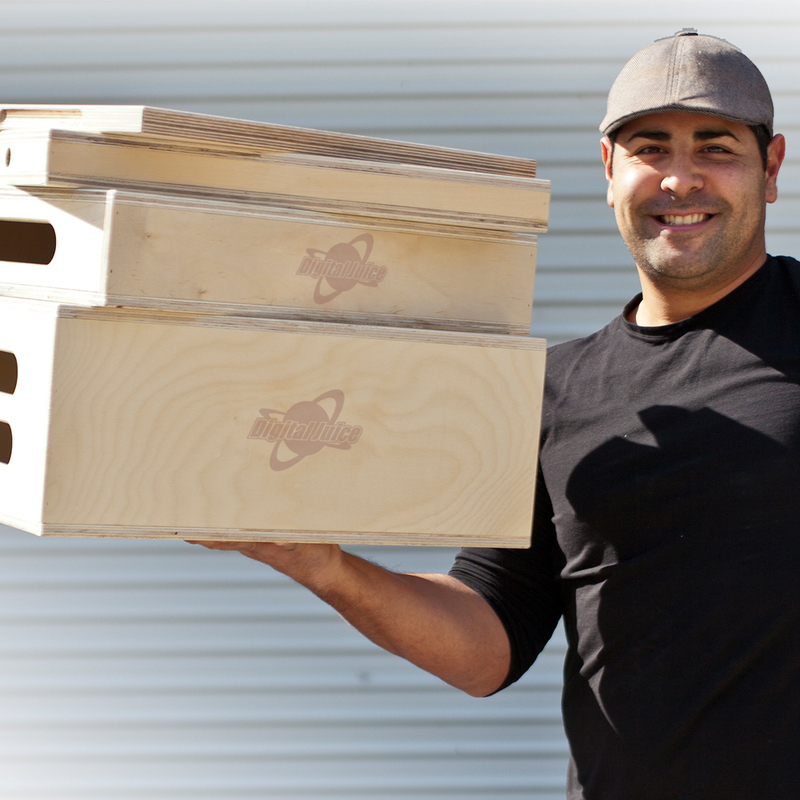 The Pancake box is constructed of heavier, 16-ply 1" plywood in order to ensure its structural integrity, since it is made from one piece of plywood and not braced internally. Do I need to finish the Apple Box surface in some way? We recommend that these boxes be treated with a wood sealer to prevent warping if they will be used outdoors or in a wet environment. 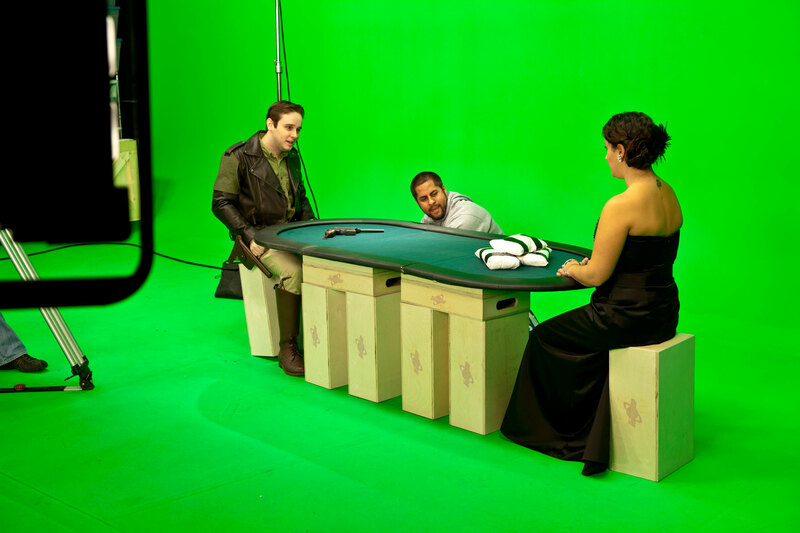 Otherwise, they can be used as-is or painted to suit their intended purpose - with greenscreen paint to blend into a green screen studio, with black or white for high-end photographic treatments or in whatever color your needs require. 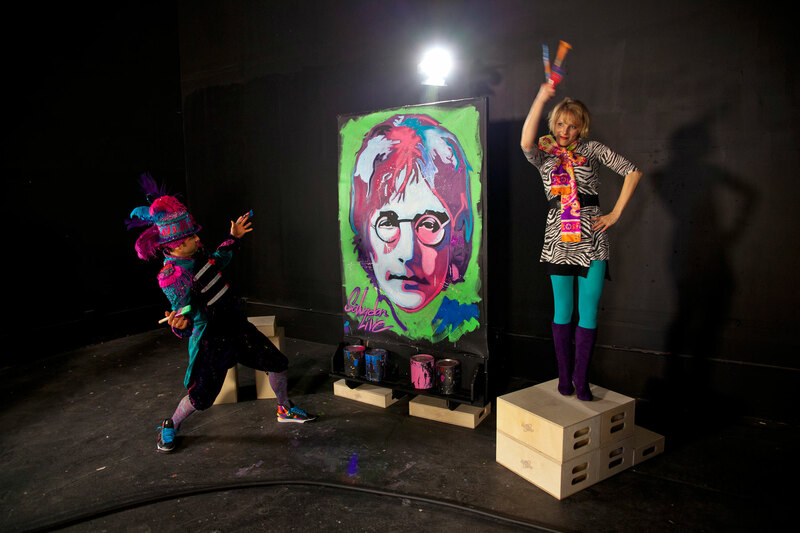 Most often they will be left unfinished when used for gear support or draped with cloth to suit any on-set use. 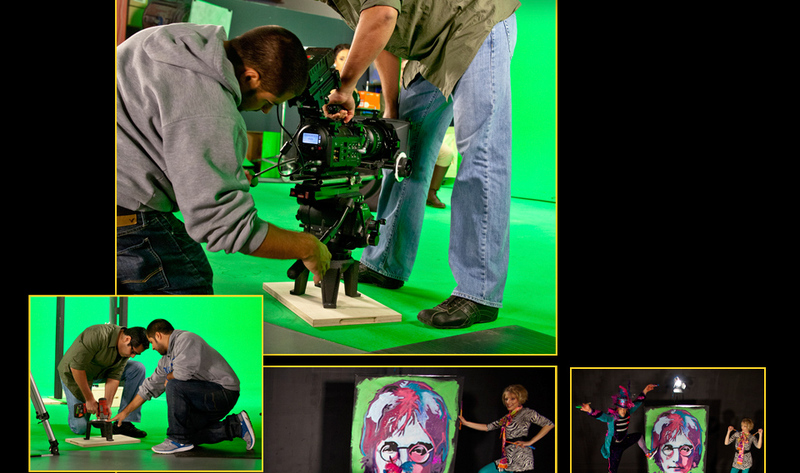 As you can see in these two studio shoots at Digital Juice, a set or two of Apple Boxes can be indispensable on set. 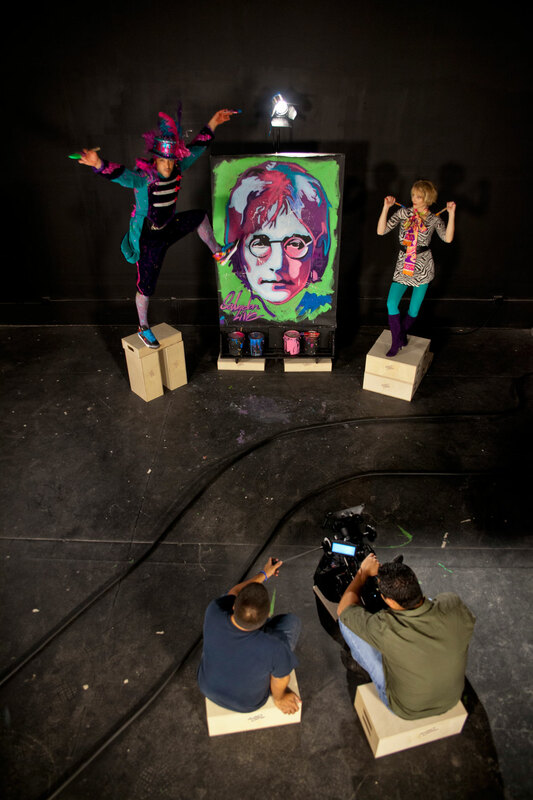 The different size boxes can be used for everything from boosting the height of actors, shimming up the corner of a door frame and allowing the talent to rest between scenes -- to serving as a base for a high hat for low angle shots. A variety of heights can be achieved for different purposes by changing the orientation of the boxes or stacking them in different combinations. Getting the camera low to the ground can result in more dynamic shots in some situations. 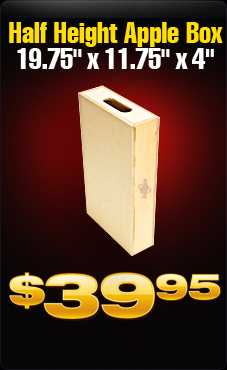 The Pancake Apple Box works very well as a high hat base that can be easily shifted around the studio as needed. 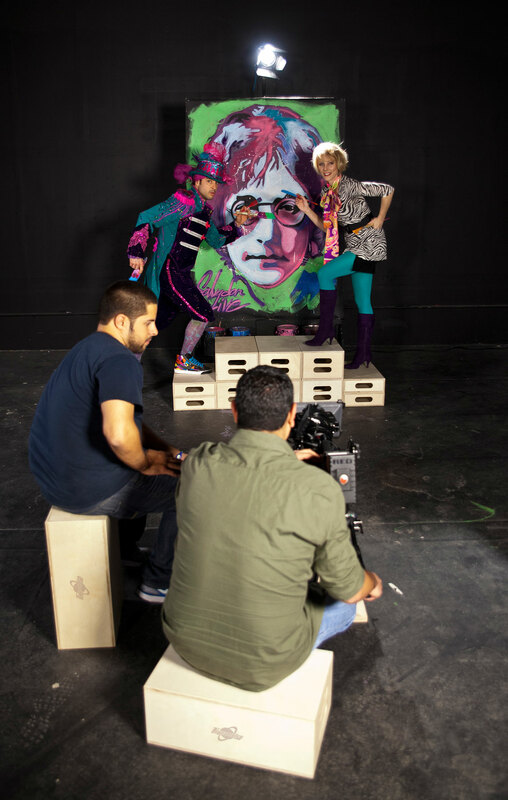 The cameraman and assistant can also comfortably shoot a low-angle scene by sitting on Full size Apple Boxes in two orientations. A low camera angle also makes it easy to frame a shot so that any Apple Boxes used for the shot stay hidden. 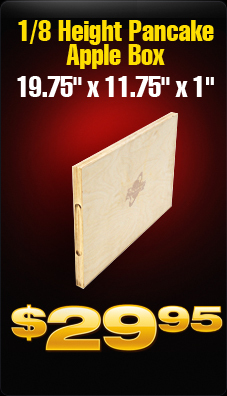 19.75" X 11.75" X 1"
Made from furniture-grade 5-ply TigerLite birch plywood. 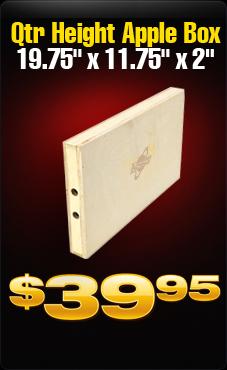 Includes interior reinforcement from a central brace, ensuring extra strength and dimensional stability. 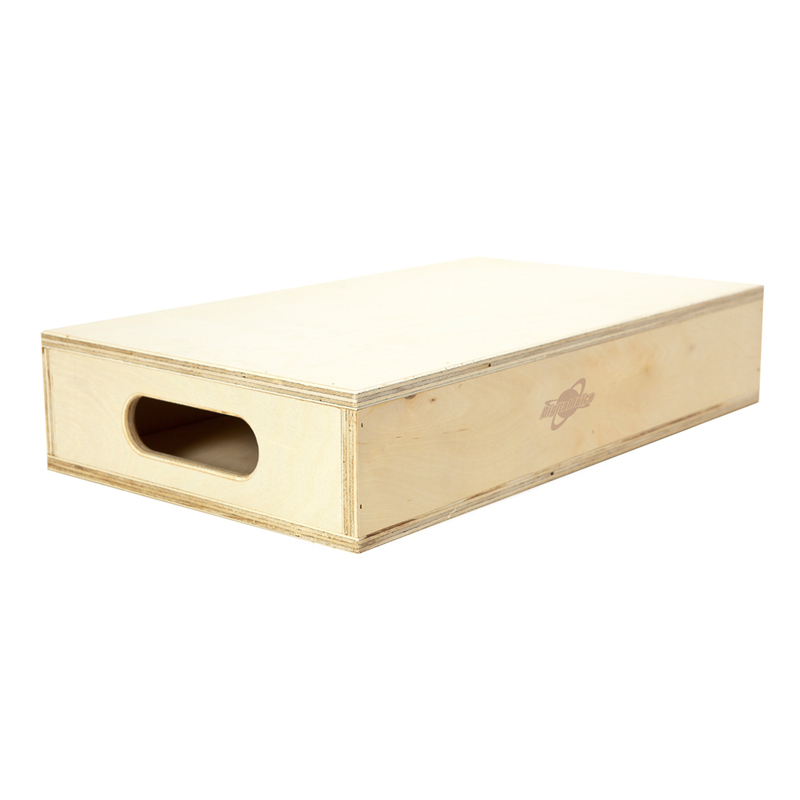 Includes 2 Full Height, 2 Half Height, 2 Quarter Height and 2 1/8 Height Apple Boxes. 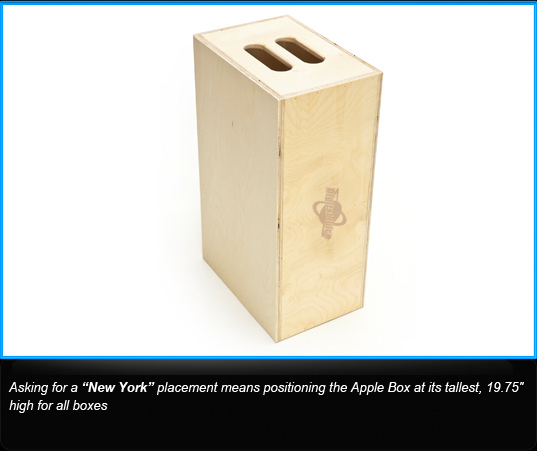 Includes 1 Full Height, 1 Half Height, 1 Quarter Height and 1 1/8 Height Apple Boxes. 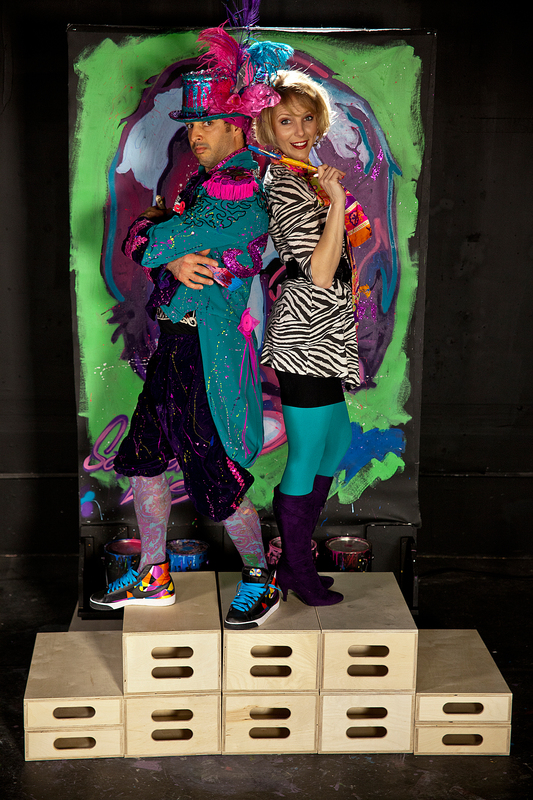 Attractive looks and high-quality construction Support you can count on with looks that won't embarrass you on-set. Four industry-standard dimensionally-matched sizes You can mix and match multiple units of the four box sizes to create a series of uniform stacks for any kind of support platform you might require.